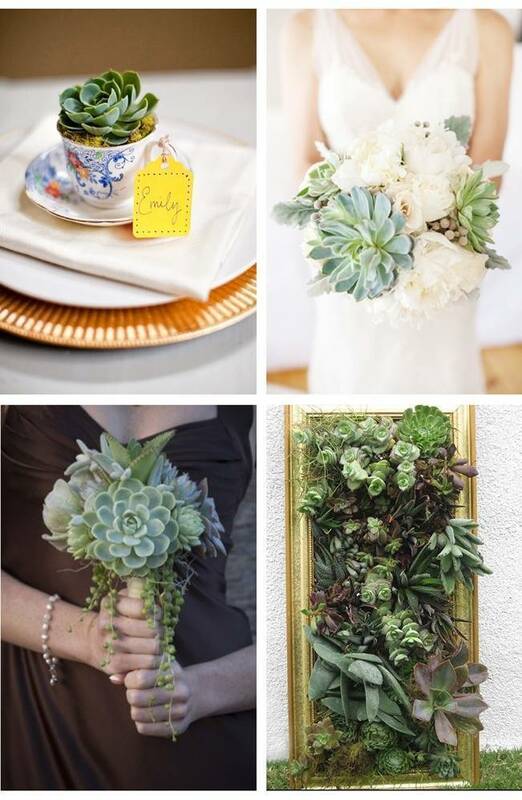 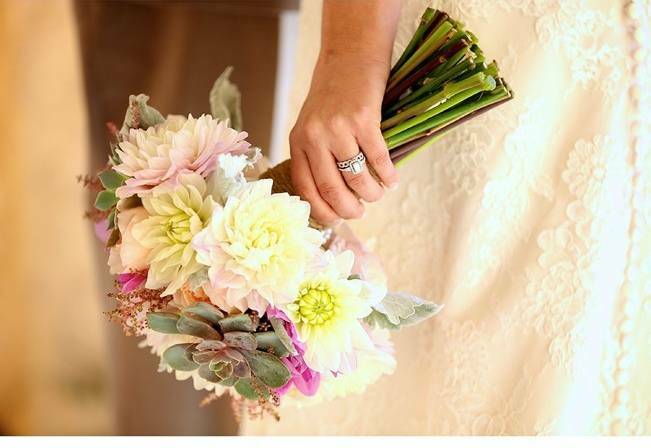 Succulents are an unexpected and beautiful alternative to traditional flowers for your wedding. 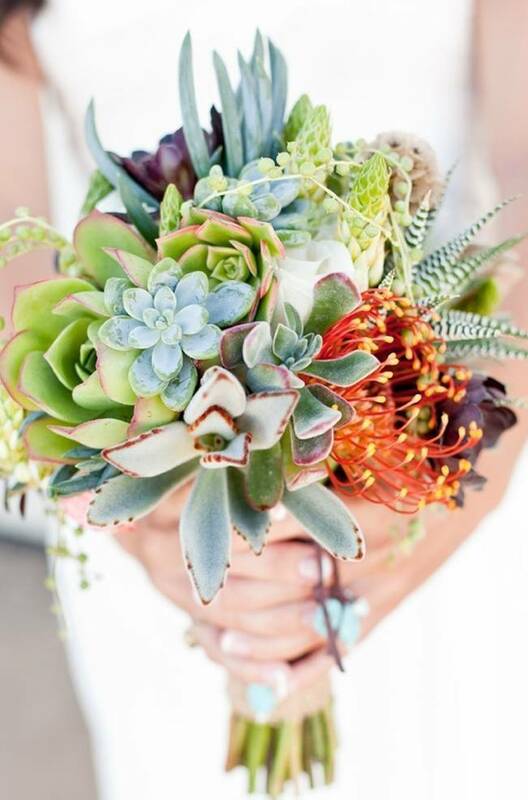 They’re known for their thick and fleshy leaves (which are often arranged like petals) and their ability to retain water in arid climates. 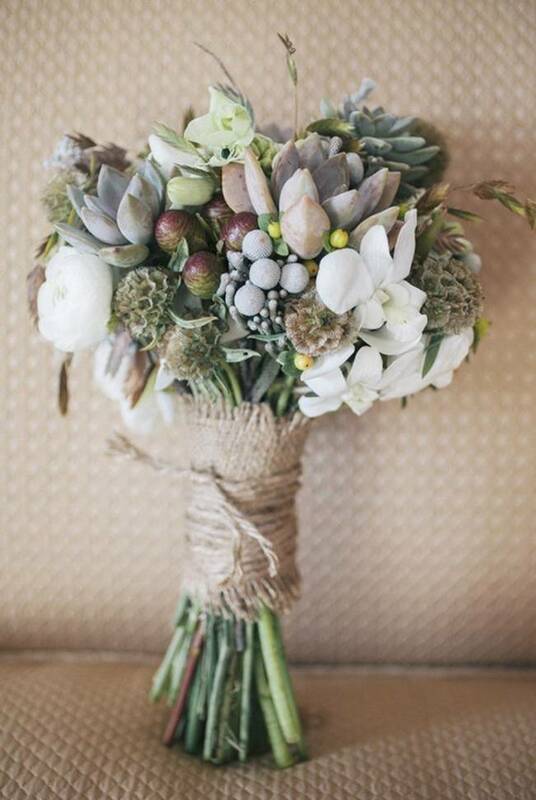 They make great earthy wedding favors as they travel well compared to say, potted herbs. 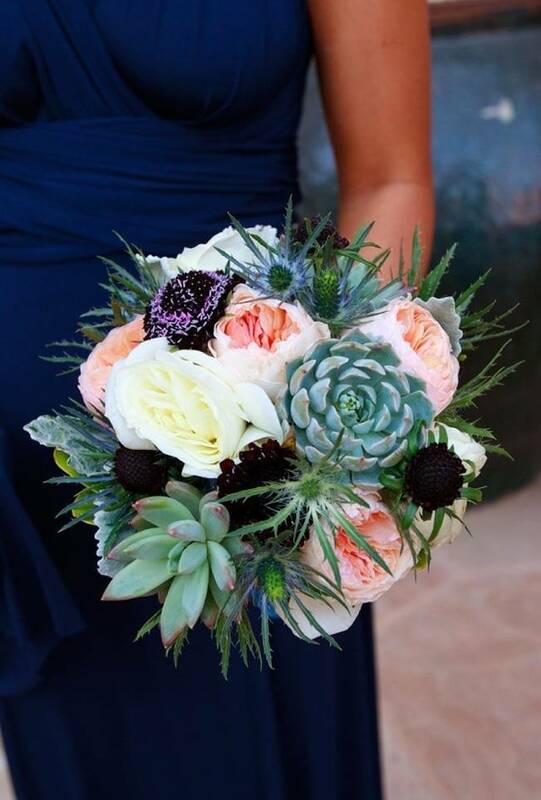 Used as an accent they create a stunning visual composition in wedding bouquets, though you must be careful of how many you include in your arrangements as they can be heavier than typical flowers. 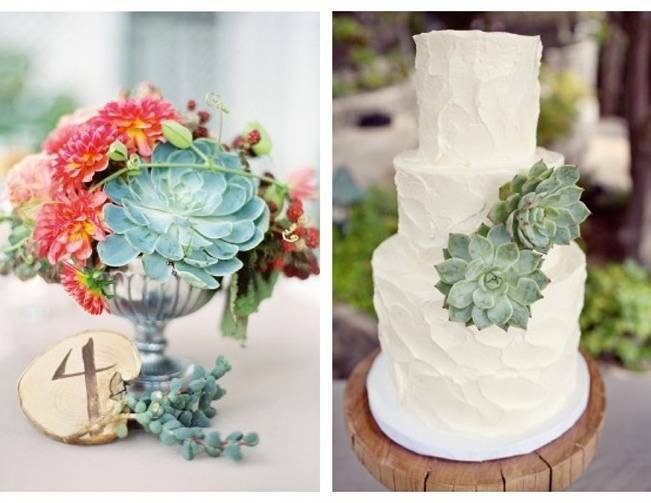 Succulents can come in an astounding variety of shapes, sizes and colors, though many of them are a shade of green. 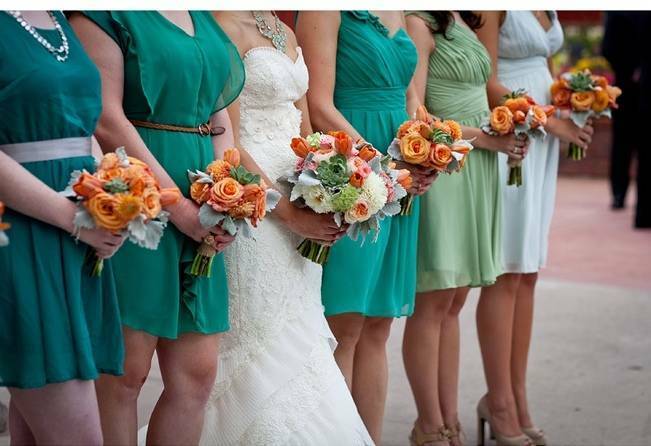 They tend to pair well with shades of orange, peach, pink, and purple.